BTWT loves W-wa Jezorki. The photography is professional, the text philosophical, as befits a man who sees the bicycle as the optimum means of commuting. It was W-wa that inspired us to start BTWT just half a year ago. The East Bay Bicycle Coalition site is a great campaigning website that is even slicker than BTWT! Here what they have to say about Bogota’s Bicycling Sunday. Bicycle Sunday is such a widely appealing idea, it is no suprise that millions head to the streets in Bogotá, as well as Mexico City, and most recently, Santiago, Chile… The idea is simple, given that Sunday is already the best day for a pleasurable recreation ride, why not promote it by dedicating a lane or two on our local roads to bicyclists, walkers, joggers, skaters, you-name-it? Indeed why not? In London and Birmingham, Warsaw and Cracow! We’ve already written about the underground bicycle park in Groningen. Urbanbasket were kind enough to link to our post. They also had a link to this film to show how big the cycle park really is. The Japanese have gone one better and have built a prototype robot operated cycle park! 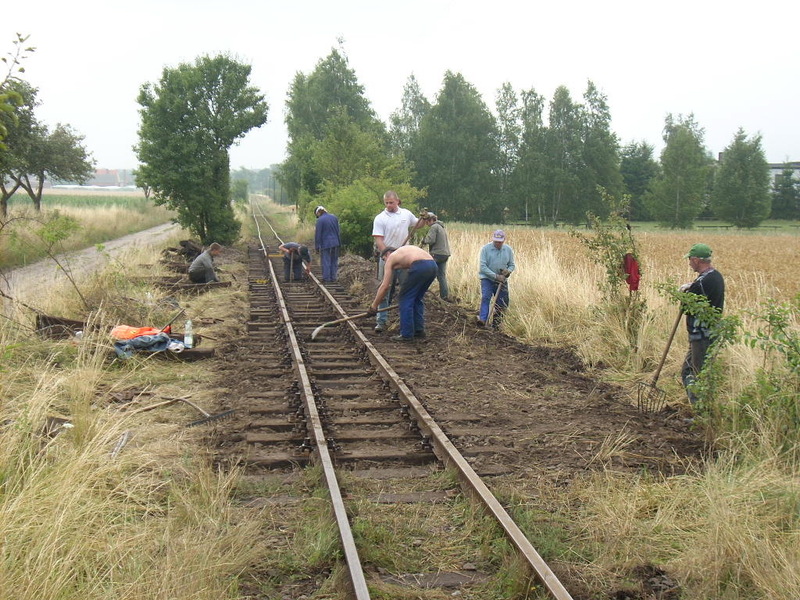 Between 12-14 July, SKPL platelayers relaid 80 sleepers and restored the track geometry of a length of line at Robaczyn, near Stare Bojanowo, on the Smigiel Railway. While Britain’s Rail Minister, Tom Harris, has been busy telling MPs that the UK is too crowded for high speed rail, and that high speed trains are not very ‘green’. Terry Hill, the chairman of Arup has been progressing his plans to build Britain’s next high speed line. Here’s an extract from an interview with him published in yesterday’s Sunday Times. Hill and his fellow Arupites are old hands at the big politics that go with big projects. They were the behind-the-scenes movers and shakers on decisions that shaped the face of Britain over the past two decades. Remember Margaret Thatcher’s mid-1980s plan to build three orbital roads for London, Ringways 1, 2 and 3? Thought not. Hill helped kill it. Remember the British Rail scheme to bring the high-speed rail line from the Channel tunnel carving through the south London suburbs? No? Hill and his merry men killed that too. Now Arup has another cunning plan, a £4.2 billion extension of the high-speed line. It would run west of the capital to a new mega station near Heathrow, kick-starting new rail lines to the north, and perhaps removing the need for the airport’s third runway. Hill went to see transport secretary Ruth Kelly about it last week. Arup were responsible for designing the Channel Tunnel Rail Link, now rebranded as HS1. They were also involved in the Sydney Opera House, the Pompidou Centre in Paris and in most of the new venues built for the Beijing Olympics. In January Arup announced that it was working on a feasibility study for HS2, a new high speed line from London to the North. The company had first suggested building such a line 18 years earlier. Observing the distinctly chilly welcome that Greengauge’s plans for high speed rail received from the UK Treasury and Department for Transport, Arup repacked their plans and in May launched a proposal to build a new transport hub at Heathrow Airport, one that could in the future be served by high speed rail. Now Arup are advocating extending HS1 from Central London to the proposed Heathrow hub. Perhaps, their slowly, slowly catchee monkey approach may just turn out to be successful. 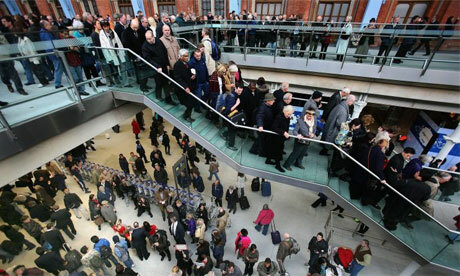 St Pancras (Eurostar) Station in rush hour. Miss McIntosh: To ask the Secretary of State for Transport whether she plans to introduce a high speed rail network on the East Coast. Mr. Tom Harris: The Secretary of State invited Network Rail to begin work to develop longer-term options for the railway network. As part of this, on 23 June 2008 Network Rail announced a strategic review of the case for new rail lines. It will consider five of Network Rail’s strategic routes, north and west of London: Chiltern, East Coast, West Coast, Great Western and Midland Main Lines. It is too early to say what the results of this study will be or where any potential new lines might go. The study is expected to be complete in July 2009. Still I suppose that it’s a small step forward from Tom Harris saying that High Speed Railways were not green enough to be built in Britain. 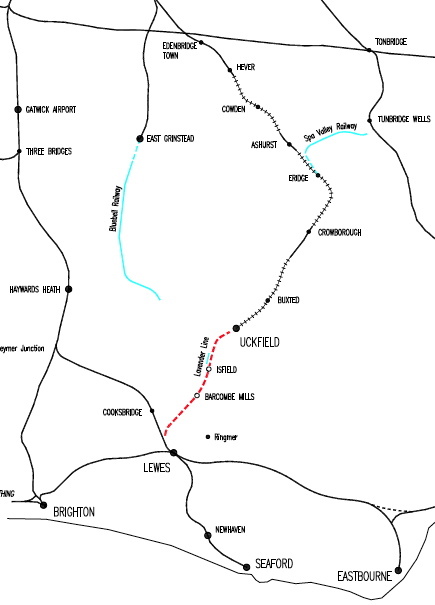 In 1969, Sussex County Council forced the closure of the railway line between Lewes and Uckfield. This was to facilitate the construction of a new road bridge in Lewes. It left the line from London through Eridge straggling like a withered leg down to a stump at Uckfield, with an absurd gap of under 10 miles to the rail junction at Lewes. Ever since then, there have been vigorous calls for the line to be reopened, most notably by the Wealden Line Campaign, led by Brian Hart. Lewes MP, Norman Baker, has also been campaigning on the issue since being elected as a local councillor in 1987. 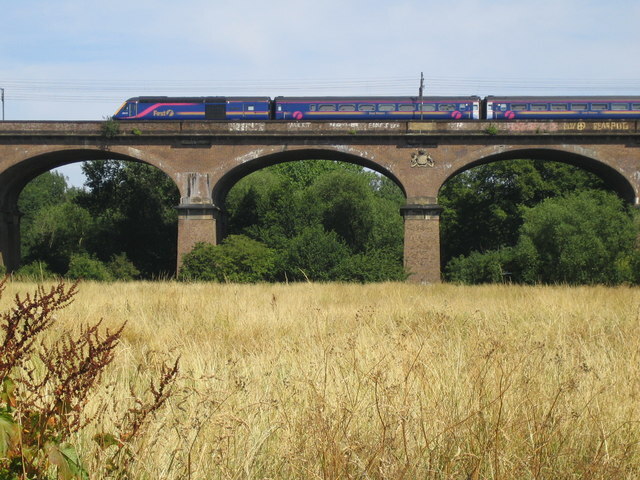 Now a Network Rail report about the feasibility of reopening the line has been published. The report was commissioned by the Central Rail Corridor Board, which the MP helped to set up. The Report concluded that while reinstatement of the line was certainly feasible in practical terms, and that it would even make an operational profit when up and running, the reinstatement costs could not be justified under the Department for Transport’s present cost benefit formula. Norman Baker says that the battle to reinstate the railway line between Lewes and Uckfield goes on. It is good to have confirmation that there are no physical obstacles to reinstatement that cannot be overcome, and also that the line, when up and running, would be operationally profitable. These conclusions are in line with earlier sketchier assessments. In respect of the conclusion that the cost of reinstatement cannot be justified, there are, I think, three key factors to bear in mind when considering the report. Firstly, the Board decided very early on to cost a scheme that was as cheap as possible. While that obviously kept cost estimates down, it meant that what was being considered was a line from Lewes to East Croydon that was limited, because of the constraints of the existing line and East Croydon station, to two trains an hour maximum on unimproved track, much of it single track only. That meant that the benefits of providing an alternative line to London were limited, and the model showed that with this arrangement, most of the extra traffic would be going south to Lewes and Brighton. Given the need to create extra train paths at East Croydon anyway in the medium term, it would have been interesting to have costed a much improved, doubled, electrified line with extra capacity at the East Croydon bottleneck. That would obviously have been much more expensive, but the benefits would have been considerably greater too. Secondly, the transport formula Network Rail is required by the government to use to calculate benefits is loaded against rail schemes, something which even the government recognises. There is in fact a full consultation on the NATA formula now underway and it would be interesting to have the scheme costed against whatever new formula emerges. Thirdly, the terms of reference for Network Rail meant insufficient attention was given to the medium term factors that will undoubtedly make reinstatement more attractive. These include the projected increase in passenger numbers from Sussex to London over the next 15 years which there will not be enough capacity to handle, and the rocketing cost of oil which makes rail travel more attractive. The MP concluded: It is obviously disappointing that it’s not full steam ahead, but there is enough in the report and coming down the track to conclude that the battle goes on. The Network Rail Report, a management summary and various appendices, as well as the Central Rail Corridor Board’s review of the report are available as pdf downloads from a special page on the East Sussex County Council website. Network Rail Chairman, Sir Ian McAllister, is not very happy. First there was the New Year fiasco, when more than half a million passengers found their trains cancelled as engineering works over ran in London, Rugby and Glasgow. He was away from his desk at the time and his comment, that if he had returned to work he would have only ‘got in the way’, didn’t play the way he had hoped in the media. His image should have improved when he was awarded a knighthood. Unfortunately, the Office of Rail Regulation chose the day of his investiture to announce that they were fining Network Rail £14 million for systemic weaknesses in the planning and execution of their engineering work. This was followed by irritating reports in the quality press that Rail Under secretary Tom Harris had appointed a team of head hunters to look for his successor. Of course the story was quickly denied, ‘prudent succession planning’ was the official explanation, but the damage had been done. Just as people were beginning to forget about the New Year catastrophe, and Sir Ian was hoping that he could pay his top directors their performance bonuses without generating any fuss, the Transport Select Committee had the effrontery to dredge the matter up all over again. 14. It is quite extraordinary for Network Rail to reward its senior managers with huge financial bonuses in a year where passengers have been humiliated and inconvenienced by three separate major engineering fiascos, where an entire catalogue of management failings has been laid bare for all to see, and where a record fine has been imposed for breach of the Network Licence. It is a gesture which adds insult to injury for the long-suffering passengers who have had to struggle with the consequences of the company’s failings. If Network Rail’s members cannot, or will not challenge and block such a move, they are not a body worth having. Some of Network Rail’s members took the hint and a resolution was duly proposed for Network Rail’s AGM which would have limited the bonuses paid out to senior directors. Sir Ian and his board blocked the resolution. Philip Davis, chairman of the Network Rail member steering group and a West Midlands councillor, and Lord Berkeley, another Network Rail member and chairman of the Rail Freight Group, countered by briefing the press. At this point Sir Ian lost the plot. It can happen to any busy professional when he takes his eye off the ball. After all, he does have to find time for his Network Rail job when he is not busy working as the chairman of the Carbon Trust and as a non-executive director of Scottish and Newcastle. In a letter to Network Rail members he complained, Given the open and ongoing dialogue between us, I am disappointed to see that two members have felt it necessary to take directly to the media an issue without discussion with us previously. It is my view that we should debate our issues in an inclusive way, so that all members can express their views in the hearing of others. He just didn’t see the contradiction that by declining to debate the bonus issue at the AGM, he had denied Network Rail’s members the opportunity to debate our issues in an inclusive way. Many Network Rail Members were furious, while Tony Berkeley quickly swung into action with Plan ‘B’. Perhaps this had been his intention all along? He sent out another letter to members urging a change in Network Rail’s corporate governance, saying the current systems did not work and the company was not being held to account by anyone. Tony Berkeley and his friends succeeded in pushing through a resolution calling for the setting up of a review group made up of 12 National Rail members to consider the effectiveness of the company’s corporate governance practices, with particular reference to the accountability of the board to its members and of its members to the company’s wider stakeholders. The motion was carried by 42 votes to 34 – with four abstentions. Sir Ian is reported to be furious. In BTWT’s humble opinion, Lord Berkley, who has been campaigning for years to get long distance freight traffic between the UK and Europe transferred to rail, would make an excellent successor. An apology to all readers who tried yesterday to download the Transport Select Committee’s Report. After replacing the original picture of the report with a slightly tinted one, the hyperlink was omitted. Now the link should work. Yesterday we looked at how the Select Committee chided the government for the paucity of its vision and the lack of a proper strategy in the 2007 White Paper, Delivering a Sustainable Railway. The Committee were equally critical with respect to the unprecedented breakdown in service faced by passengers during the New Year period. 12. The engineering overruns over New Year were quite simply unacceptable. Much excellent work is done by a large workforce of good and dedicated staff at Network Rail, but the lack of clear procedures, consistency, communication and management controls combine to undermine all these undoubted achievements. The ORR’s careful analysis of events exposes serious management failures. 13. The Government along with the ORR must ensure that the risk of this kind of overrun occurring again—ever—is minimised. The Government, along with the ORR, must monitor closely the progress made by Network Rail over the next year, and examine what structural changes might be required to ensure that Network Rail is capable of managing its projects effectively and consistently. The White Paper, Delivering a Sustainable Railway, was published a year ago. It set out the UK Government’s 30-year vision for Britain’s railways. Many critical voices were raised regarding its content. Rail pundit, Christian Wolmar, wrote an excellent article for the Transport Times, The dirty hands of the Treasury eagerly cutting back on anything exciting or hopeful in the strategy are all too clear. Virtually all substantial enhancements have been taken out, leaving a handful of schemes that are the basic minimum for the government’s fig leaf of respectability. Now the Transport Select Committee, have authored their own reaction to the White Paper. After examining over 40 expert witnesses about the government’s strategy, the committee has published Delivering a Sustainable Railway: a 30-year strategy for the railways? Though the language is less blunt than Wolmar’s, the carefully reasoned arguments, backed up with carefully researched evidence, are no less damning. 10. The High Level Output Statement will give the industry a degree of stability and direction which we welcome… However, where seismic shifts that are likely to remain in the medium-term occur, and where they are likely to create extra passenger growth, we think the Government needs to consider making adjustments to the HLOS. We believe the massive increases in oil prices over the past year, and the fact that prices are expected to remain very high for the foreseeable future represent such a case. 11. The Government’s attempt to set out a long-term vision and strategy for the railways has been widely welcomed across the industry, though many commentators have argued that it needs to go further and be more visionary and radical in its approach. Eurostar argued that, whilst the Aviation White Paper had succeeded in setting out a proper long-term strategy, the Rail White Paper was notable for its failure to create a similarly clear strategy for the railways. 17. We warmly welcome the Government’s effort to create a long-term vision and strategy for the railways. We are particularly pleased that the White Paper sets out a positive plan for growth. However, we agree with the vast majority of our witnesses from across the industry, that the level of ambition in the White Paper is too modest. The Government’s policy of responding to demand with “just-in-time investments” ignores the potential of rail investment to reduce regional disparities and improve the environment. After years of sustained growth in rail patronage, we urge the Government to be bolder in its vision and to set out a proper long-term strategy, including the planning and development of infrastructure which will improve the environment and the spatial economic development of the country. Tomorrow, we will look at the fallout for Network Rail from the massive engineering work over runs, and severe service cancellations, that occurred over the New Year period. It’s not often that the chance comes up to acquire an European operational narrow gauge railway as a going concern. But when the railway is 100 km from the capital city, is next door to a major tourist hotspot, runs past the grounds of a country’s foremost private health spa, and comes unencumbered of any loans or bad debt, the opportunity is unique. At the end of the 2008, SKPL will be terminating its agreement with Opole Lubelskie district council regarding operating the 750 mm gauge Naleczowska Kolei Dojadowa (Naleczow Local Railway). 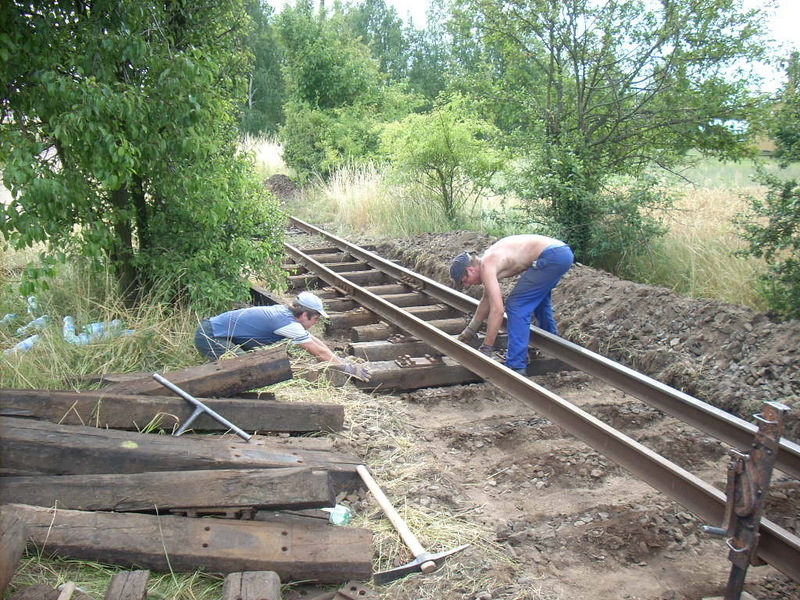 The railway, makes a deficit of approximately 50,000 PLN (12,500 GBP) per annum. There is considerable scope for improvement, as an estate agent would put it. The strength of SKPL is in running freight trains on the USA ‘short line’ model while the Naleczow Railway’s future potential is undoubtedly as heritage railway focussing on tourists, rather than as a commercial ‘common carrier’ railway. 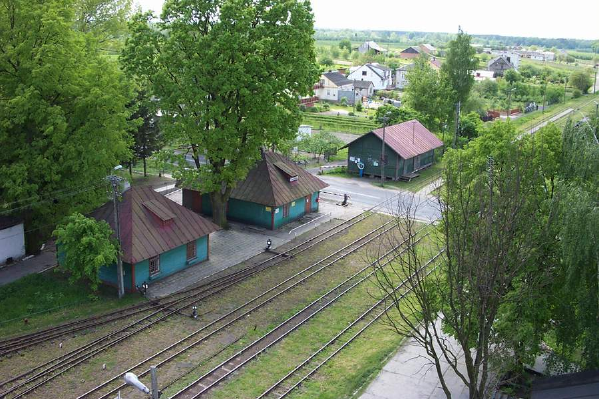 Anybody wanting to operate the railway would have to decide whether they would want to operate on their own or partner with an existing organisation like the Fundacja Polskich Kolei Waskotorowych (Polish Narrow Gauge Railway Association). Partnering with an existing Polish organisation makes sense – the Polish organisation knows its way round Polish bureaucracy and also knows how much goods and services should really cost in Poland. Increasing frustration felt by First Great Western customers caused by cancelled trains, late running, overcrowding and bus substitution led to Britain’s first fare strike by passengers in January 2007. Cuts in service proposed in January this year were countered by threats of further direct action. Finally, Ruth Kelly, Secretary of State for Transport, was forced to act. 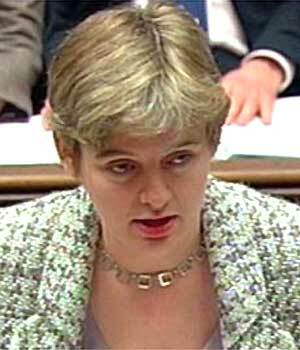 On 26 February she issued a ministerial written statement. The performance of First Great Western has persistently fallen short of its customers’ expectations and has been unacceptable to both passengers and Government. I can inform the House today that First Great Western has breached its franchise agreement by exceeding the limits on cancellations, and also by misreporting those cancellations. I can now outline the measures I have taken, and the actions I have agreed with First Great Western, which were reported in an announcement by First plc to the Stock Exchange before the markets opened this morning. First, I am today issuing First Great Western with a remedial plan notice for exceeding the threshold on cancellations which resulted in a breach of its franchise agreement. In response to this notice, First Great Western will submit a remedial plan for addressing this level of cancellations. Discussions are at an advanced stage on what the plan will contain. Secondly, I am also today issuing First Great Western with a breach notice for misreporting its cancellations. Thirdly, and importantly for those using First Great Western services, a substantial package of additional benefits for passengers has been agreed. Click for the complete statement from Hansard. It is a breach of Parliamentary protocol for a minister’s decision to be announced outside the House of Commons, before the decision is communicated to MPs. The DfT agreed release by First plc of the news to the Stock Exchange was intended to damp down speculation by shareholders that First were about to loose their franchise. Since March, First Great Western services have at last seen some improvement. The battle by First Great Western passengers is a model of how such campaigns should be fought in the digital age. A coordinating group was set up with its own website and discussion forum. Here is a taster from the website. The short punchy editorial style is very professional. Thanks to the insane government policy for awarding new train franchises, the First Great Western (FGW) take over of Wessex on 11th December 2006 resulted in 20 carriages immediately being withdrawn from a service that was already running near full capacity. The effect of this was fewer and shorter trains, delays, cancellations and travellers unable to board trains. Travellers refused to pay their fares in the now world famous Fare Strike of January 2007. FGW responded by reducing fares and finding more carriages. Round one to us. FGW are about to hand back 12 coaches to the leasing company, put up fares by 10%, and reduce the number of trains stopping at local stations. FGW are so worried that you won’t be able to get on their trains that they have even been handing out leaflets asking you not to take local trains! Some commuters decided to vent their anger, by setting up their own websites or blogs. One of these Farce Great Western gives a very good comparison of the difference between commuter railway services in the Netherlands vs. Great Britain. is barely 5 years old. SaveThe Train are campaigning for a decent level of service to the Swindon – Melksham – Southampton line. A line whose services were packed with passengers, but which was butchered by First Great Western with department for Transport approval. The Swindon to Southampton train service was a success story for Wessex trains, the former operator of the service. They instigated the service in May 2001, and as a result ticket sales for journeys on the northern section of the root rocketed. At Melksham, where this new service of five trains each way daily replaced a twice-a-day shuttle, ticket sales have risen from just over 3,000 to over 27,000 journeys per year. First group have swallowed up all the ex Wessex trains routes into the new Great Western Franchise, and there are cuts across the South West. The Swindon to Southampton service is to be completely scrapped and as from December, the northern section of the line will be back to its pre-2001 service level … but with trains inconveniently timed in the early morning and in the evening – there will be NOTHING on the line between 07:30 and 18:30. Yet forecasts show that a two-hourly train service would continue to grow traffic levels at the same rate they’ve risen since 2001 for a number of years to come. Bradford-on-Avon, a neighbouring town that’s half the size of Melksham but with an hourly train service sells 10 times the number of tickets sold for Melksham. Surveys taken at Chippenham station show a significant proportion of car park users driving in from Melksham, Calne and Malmesbury rather than relying on public transport door to door; with an appropriate train service, those car journeys from Melksham at least would be reversed – these customer are clearly happy to use a rail service. The Train Fellow writes his blog with intelligence and humour a sense of humour. First Great Western’s quality of service may drive him back to using his motor car. Reference comments about “accepting public transport is unreliable”. Sorry. Can’t do that. I’ve been to France, Germany etc and their systems are a dream compared with our under-invested railway. I don’t blame the staff though… generally. Unless they do something really blameworthy. Like stop at the wrong station. I do blame middle management though as this is, I’m sure, where most of the dodgy decisions are made. The author of I Hate First Western kept his sanity by switching to another train company. When I started this blog, I was angry. Livid. To mention the words “First Great Western” to me were unwise, as they would spark a lengthy rant, full of expletives. I was highly pissed off. I feel I should mention this at this juncture, because I have recently come under attack from someone who feels I am not angry enough, and am some kind of champagne-sipping toff who gets narky if commoners try to invade my space in the first class carriage. It’s true that I’m not as angry as I was, but to be honest, I don’t think anyone could have that much energy, as being angry is pretty hard going, even for a few days, let alone for 18 months, and makes you liable to lose friends and alienate people. What I did instead was start a blog, in order that I could share my ranting with others with a similar hatred of FGW. And then, I moved house, in order to be nearer to my work. And then, I discovered the alternative service of South West Trains. And, all of these things have made me calmer, because I am opting out of the thing that makes me angry. Finally, least it be said that BTWT is biased in its reporting, The Truth About First Great Western makes the valid point that not all the problems experienced by customers can be blamed on the company. This is the biggest myth of all and one that has frequently been repeated in the media and elsewhere. The truth is that the December 2006 timetable was set by the Department for Transport in consultation with Network Rail, and not by First Great Western. Certainly, First Great Western will have been invited to comment and did consult widely on the changes so they could put customer representations for the DfT, however, the final say on timetabling lies with the DfT. It is probable that the customer feedback made by First to the government as a consequence of the consultation process resulted in some proposed cuts being scrapped. Like First Great Western, the majority of other train operating companies also have their timetables set by the Department for Transport. Nearly all the WWW sites that we have featured in this article have links to yet other First Great Western critic sites. Perhaps, when the history of Britain’s railways in the early 21st century comes to be written, First Great Western’s problems will be seen as the catalyst that turned Britain’s hard pressed railway commuters into a digitally supercharged passenger transport lobby. 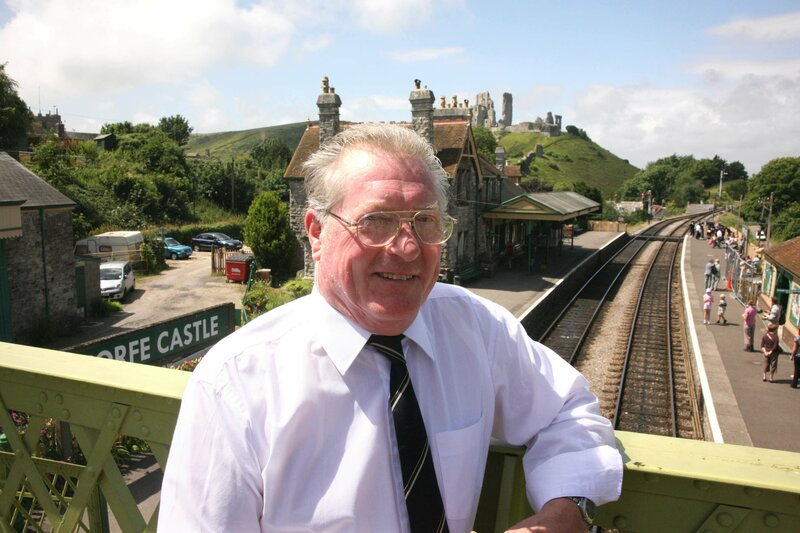 The Swanage Railway Trust Council of Management has elected Mike Whitham to be its new chairman, following the resignation of Bill Trite who had lead the Railway for 17 years. After his election Mr Whitham said, “Ever since my first visit to the Swanage Railway in the mid-1980s, I have passionately believed in the railway, its achievements and its objectives. I am honoured to be chosen to take the Swanage Railway into its next exciting venture – an all-year round amenity train service between Swanage and Wareham.” He also pledged, “I will ensure that this does not compromise the Swanage Railway’s current heritage steam and diesel services.” Mr Whitham started as a trainee signalman on the Swanage Railway in 1996. He became the railway’s volunteer liaison officer in 1999 and then took on the role of youth protection officer. Since May, 2007, he has also been a member of Swanage Town Council. Mr Whitam will also be chairman of the operating company, the Swanage Railway Company. 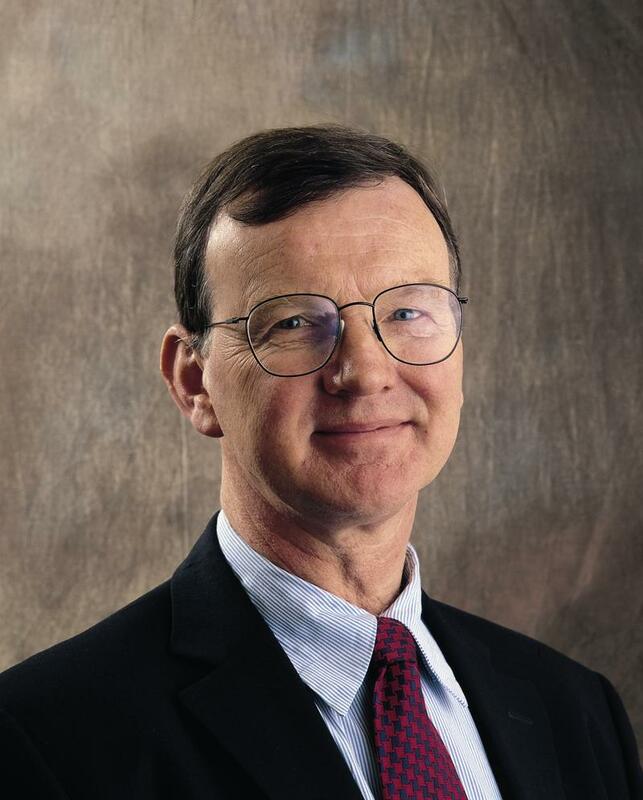 Mike’s predecessor, Bill Trite became chairman of the then Southern Steam Trust following a stormy annual general meeting of the Trust in 1991 when the Swanage Railway was in a precarious financial position. With the help of local residents and legal advice from David Morgan, Heritage Railway Association (the UK umbrella body) chairman, Bill Trite lead the railway’s financial recovery and then put in the management systems to ensure that such a crisis could never befall the railway again. Under Bill Trite’s management the Swanage Railway became one of the most popular railways in the South. Last year the Railway carried more than 200,000 passengers, had an annual turnover in excess of £ 2 million, had over 4,000 members, some 400 active volunteers and employed 45 people in full and part-time posts. The Swanage Railway Project was started by Andrew Goltz, at the time a student at Birmingham University. Together with John Sloboda he formed the Swanage Railway Society in 1972. As Society chairman he lobbied the local authorities, ultimately successfully, to withdraw from using the railway formation for a by-pass and to allow the railway Project to go ahead. From 1978 to 1991 the Project was lead by Southern Steam Trust chairman, Mike Stollery, under whose leadership the physical rebuilding of the railway track, and the restoration of historic rolling stock, made substantial progress; and the operation of revenue earning tourist trains begun. Fred Dibnah’s statue being unveiled in Bolton on Tuesday 29th April 2008. The sculptor, Jane Robbins, points out a detail to the Mayor, Mrs Barbara Ronson. Explaining Fred Dibnah to a British audience, is about as pointless as telling people that Shakespeare was a playwright. However, BTWT has a goodly proportion of its readership living outside the British Isles, so here for their benefit is a thumbnail sketch of this larger than life figure. Fred was born on 28 April 1938 in Bolton, the son of Frank and Betsy Dibnah, who worked together in a factory. After leaving school he briefly attended art college, then worked as a joiner before being called up for National Service. He was demobbed in 1962 after serving in Germany. He had been fascinated by chimneys and steeple jacks while still at school. He started working for a building company, but in his spare time he taught himself the craft of steeple jacking. 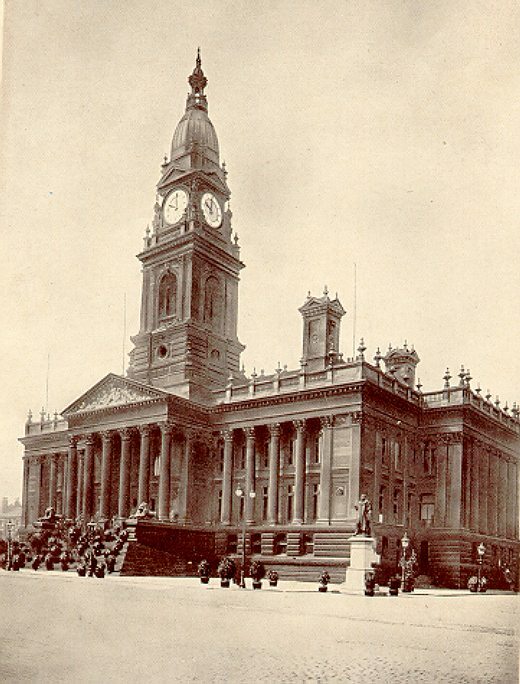 In 1978, at the age of 40, Fred came into the public eye when the BBC broadcast a short news item about his work repairing the clock on the tower of Bolton Town Hall and the producer, Don Howarth, made a one hour documentary, Fred Dibnah: Steeplejack, the following year. This featured Fred at work, both repairing and demolishing chimneys. Much of it was taken up by Fred philosophising while climbing chimneys and spires, The highlight was his demolition of a tall brick chimney. The documentary won several awards and Fred’s career as a TV personality had begun. A series of 8 half-hour programmes followed observing Fred at work and, the cameraman climbing with Fred to dizzy heights. Fred also had restored a steam roller which appeared in the programmes. A further 6 half-hour programmes which also showed the effects of becoming a TV personality. In 1992 Don Howarth filmed Fred for the last time, made The Fred Dibnah Story in four 30 minute episodes. It was broadcast by the BBC together with a book of the same name in 1994. Six more series were to follow, directed by the BBC’s David Hall: Industrial Age (1999), Magnificent Monuments (2000), Building of Britain (2002), Age of Steam, (2003), Dig with Dibnah (2004), Made in Britain (2005). With the income Fred received from his TV work, he built up his workshop in the garden of his house. It was equipped with vintage machinery that Fred had salvaged and powered by steam. Later on he was to start sinking a mineshaft in his garden to demonstrate mining techniques of the Victorian age, but the project was halted when neighbours, terrified that Fred’s mine would effect their houses complained to the local Council. It would be fitting if Fred’s garden workshop could be saved for posterity, as a permanent memorial to Fred, but without the agreement of all of the parties concerned, and a major sponsor, rather unlikely. Though Fred was a national celebrity, but he could still be seen at traction engine rallies, where he would bring his steam roller and live-in trailer. Many will remember Fred a pint in one hand a hot meat pie in the other talking the night away about his beloved steam engines. No one has done more than Fred to promote the magic of steam and the value of Britain’s industrial heritage to a non specialist audience. So its apt that today’s Fleetwood Tram Festival should be dedicated to Fred’s memory. It’s just a little ironic that the Wyre Borough Council has decided to ban the consumption of alcohol in the open air in Fleetwood for the day. SPIEGEL ONLINE has just published a very positive assessment of the tram revival that is taking place in France. Here is just a taster. It’s bright yellow with black stripes—like some kind of futuristic tiger on rails—and it runs through Mulhouse at eight-minute intervals like a streak of light. This city in France’s Alsace region was once a leader in the industrial revolution, but it is now visibly struggling with structural change. The new tram system has brought it fresh pride and and a new sense of self-confidence. The French are hoping the renaissance of the tram will serve as an antidote to traffic jams and gridlock—and not just in Mulhouse. In almost two dozen French cities, trams have become the hallmark of urban transformation. Nantes and Grenoble were the first cities to bring back what many had long considered to be an outmoded form of transportation. Since then, Bordeaux, Clermont-Ferrand, Marseille and even the southern part of Paris have also welcomed back urban rail lines. Lille and Lyon are looking into the idea; Caen, Brest, Nancy, and Toulon are in the planning stages. 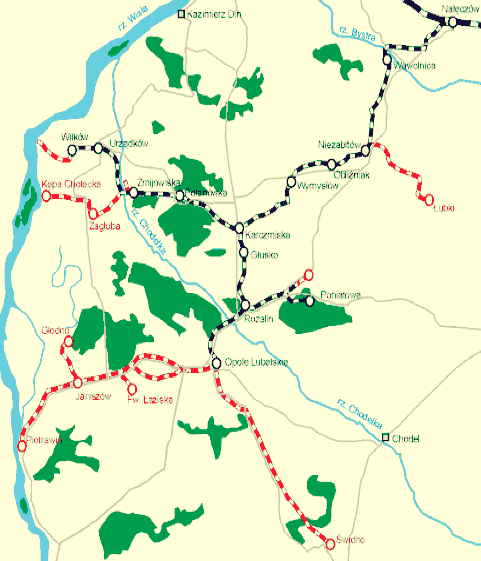 Throughout France, the network of tracks is set to grow to 576 kilometers (358 miles) by 2015. Click here for the complete SPIGIEL ONLINE article. Highly recommended! Note that trams have been reintroduced in almost two dozen French cities! In the UK, the Government has throttled back demand for tram systems from cities like Bristol, Leeds and Portsmouth and there are only half a dozen tram systems operating in the UK. Councils give Ruth Kelly £30bn high speed rail alternative to Heathrow runway 3. The 2M Group is an alliance of local authorities concerned at the environmental impact of Heathrow expansion on their communities. The membership comprises the London Boroughs of Brent, Camden, Ealing, Greenwich, Hammersmith and Fulham, Harrow, Hillingdon, Hounslow, Islington, Kensington & Chelsea, Kingston, Lambeth, Lewisham, Merton, Richmond, Southwark, Sutton and Wandsworth, and the boroughs of Slough, Windsor and Maidenhead and South Bucks District Council. The group, which took its name from the 2 million residents of the original 12 authorities, now represents a combined population of 4 million people. In January the 2M group of councils sent 20 key questions to transport secretary Ruth Kelly who announced her backing for a new runway at the airport before the start of the Government’s consultation on the plan. The 2M Group of councils drew up the list after residents complained that the Department for Transport’s consultation document had been made deliberately complicated and one-sided. 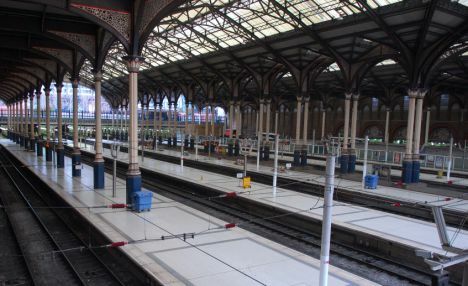 Now in the next major development of their campaign the Group are about to launch a plan for a new £30 billion high-speed rail line linking Liverpool and Manchester to Heathrow. The proposal envisages a single England-Scotland spine route and several spurs that would reach out to major cities including Liverpool and Manchester. It would run alongside the M1 and use the disused Woodhead line to Manchester, including the rail tunnel. BTWT is an enthusiastic supporter of Light Rail and Semi-Metro solutions to the traffic problems of large cities. We thought that, once the inevitable teething troubles were over, we should try out the new Lodz Regional Tramway for ourselves. We took three rides, on a section of line between the centre of town and the northerly terminus of the service at Helenowek, in order to prepare this report. These are the 10 criteria that we used to assess the new service. Each is scored on a range of 0-10. So the maximum possible score is 100. It is branded as the ‘Lodz Regional Tramway’, but at present it runs only within the borders of Lodz between Helenowek and Chocianowice. There is no clear indication when stage 2, linking the outlying towns of Pabianice and Zgierz, will be implemented. Stage 3, upgrading the tramline to Ozorkow, has not reached the stage of a memorandum of understanding, while Alexandrow Lodzki, which generates a huge amount of commuter car traffic into Lodz and lost its tram service in 1995, is not even the subject of a feasibility study. The much heralded tram priority control of traffic lights has yet to be commissioned. External and internal noise is much reduced compared to standard Polish trams, but is still not at European best practice levels. In fact, the degree to which wheel on track noise can be heard inside the cars surprised us. One of the drivers drove his tram like an extreme fairground ride – breathless acceleration and rapid stops. It was all we could do to stop falling off. The same driver, refused to let a passenger get on (even though the tram was stuck in a traffic jam) once he had closed the doors. Other drivers had no difficulty in using more gentle acceleration and deceleration techniques to a create a much more ‘family friendly’ experience. Much better than anything we have ever seen before in Lodz, but the track geometry in general, as well as the rail alignment at welded joints, leaves a lot to be desired. The stops are too close together in the city centre for the trams to be able to operate at their design speed. But, given the added convenience, no marks were deducted for this. The raised platform levels assist boarding and alighting. New fencing prevents waiting passengers being pushed into busy traffic lanes. The stops only accommodate one tram at a time. With portions of the line also used by other Lodz services this results in the trams having to queue at tram stops! The miniature bus shelters are more a decoration than a serious attempt to protect passengers in bad weather. Alas, no thought has been given to bringing the trams closer to major traffic generators such as Manufactura or Custorama, leaving passengers to walk several hundred yards. Ticketing is still stuck in the ‘buy a bit of paper in the kiosk’ era. You pay for time on board the tram, not for distance travelled. This is not good news when your tram is stuck in one of Lodz’s increasingly frequent traffic jams. Given the electronics employed elsewhere, this would have been a golden opportunity to automate and improve revenue collection. The PESA 122Ns look smashing, pity about the seats, but we have already dealt with the latter! The height of the platforms at stops and the floor height of the trams have not been equalised. The service has not been designed for unaccompanied wheelchair users. Polish transport bosses really need to get their act together on this. The automatic voice recordings and LCD displays announcing the next stop are useful. But London Underground style individual route schematics in the cars and maps of the whole system at the stops would be very helpful. Not trying hard enough. Could do much better! Johnathan Glancey is a man with a mission. As The Guardian’s architecture and design correspondent, he writes well and intelligently (the two are not the same) in the paper about modern architecture and classic design. His interview with Daniel Libeskind in 2004 was a seminal piece. He maintains an arts blog for the Guardian where he has written about subjects as diverse as the RAF’s Lightning fighter and the future of Battersea Power Station. He is an honorary fellow of The Royal Institute of British Architects. You might think that Jonathan’s vehicle of the future is the mag-lev personal transport pod flying over the city on a thread of steel. It’s not. Johnathan Glancey is a man with steam in his soul. His April 2003 article in the Guardian about Wolsztyn is the most atmospheric piece of writing to ever appear in print about the locomotive depot and the people who go there to try their hand at the Wolsztyn Experience. Three-thirty in the morning. Minus 20C. Packed ice. Insistent snow. A Siberian wind scythes across frozen lakes, birch woods, the frosted onion domes of baroque churches and the cobbled streets of Wolsztyn, a low-lying Polish town set on the great Prussian plain between Poznan and the German border. This is not most people’s idea of a good start to the day, particularly a holiday. But, what if they were awoken by the sharp whistle and compelling bark of a mainline steam locomotive, and, as they pulled on boots, hat and gloves, they knew that in less than an hour’s time, they would be hard at work on the footplate of that black-and-green engine taking the first yawning commuters to work 50 miles and 15 stations down the line across rural Poland? What then? Anyone with any sense would take off that hat, those gloves and boots and go straight back to bed. Not, though, if you have steam in the soul. For steam enthusiasts, Wolsztyn is a kind of paradise. Even at 3.30am on a frozen morning. Here, the last scheduled mainline European steam trains, passenger and freight, fan out through forests to Poznan, Zbaszynek and Leszno. In 1946 Paul Kiefer, chief mechanical engineer of the New York Central Railroad, set his latest steam locomotive, the potent, coal-burning 6,700hp Niagara class 4-8-4, against General Motors’ brand new diesel-electrics. The Niagara could generate more power than three of the latest diesel-electrics coupled together. It could run the wheels off them while accelerating passenger trains as long as 30 modern British InterCity carriages with the alacrity of an electric. The detailed report that followed revealed total annual running costs of $350,095 for Kiefer’s finest and $359,478 for a twin-set of 4,000hp GM diesels capable of maintaining existing NYC schedules. As the construction cost of the diesels was nearly 50% higher than that of a Niagara, you might have thought that steam would have continued to rule the railroad roost. Not a chance, even though the tests were conducted with oil as cheap as chips in today’s terms. If, in fact, the NYC management had been forced to buy oil at the equivalent of today’s prices, the Niagara would have won the day effortlessly. Or, would it? I don’t think so, no matter how you looked at, or cooked, the figures. The problem facing inspired steam engineers like Kiefer and his contemporary, André Chapelon of France’s SNCF – whose latest locomotive, 242 A1, was outperforming existing electric locomotives, was, as much as anything else, one of image. Steam seemed old-fashioned, dirty and labour-intensive. It didn’t have to be, but that was the perception encouraged by General Motors, the oil lobby and a new generation of fervently modernising railway managers. Eccentric? Impractical. Uneconomic? Not necessarily so. The 5AT project is a plan by a group of engineers to build a totally new steam locomotive, designed incorporating the latest developments in steam locomotive technology, for hauling main line steam charter and luxury trains. With a 70% increase in thermal efficiency over “classic” steam, and a maximum design speed of 125 mph (200 kph) its performance could amply demonstrate what could have been achieved had steam locomotive development been fully exploited in the 20th Century. Jonathan wrote about the project when it was given its first public airing in October 2003. This week Alan Fozard of the 5AT Group presented technical and business plans for this new generation 4-6-0 steam locomotive at the first World Steam and Tourist Train Congress at Brienz, Switzerland. Delegates were shown designs for a machine that will transform the way passengers and railway management alike see the steam locomotive. The 5AT will resemble a conventional Stephensonian steam locomotive, yet it will be neither smoky nor grimy. Yes, it will produce that familiar rhythmic beat, those plumes of white steam; its piston rods will race in and out of visible cylinders, and its tall disc wheels will be driven by a form of reciprocating motion invented by the Belgian engineer Egide Walschaerts in 1844. Otherwise, it will be a very different machine, 100% more efficient than the finest steam locomotives of the 1950s when technical development of this much loved form of motive power hit the buffers. Only a small lineage of impassioned engineers in France (Andre Chapelon 1892-1978), Argentina (Livio Dante Porta, 1922-2003), and their disciples, David Wardale, Roger Waller and Phil Girdlestone in Europe, today continue the pursuit of modern steam. With oil prices bouncing around $US135 a barrel a modern, low maintenance, high efficiency, steam engine becomes an interesting proposition. With the help of Jonathan, the small band of engineers who believed that steam engine design was capable of much further improvement – Andre Chapelon, Livio Porta and their successors, David Wardale, Roger Waller and Phil Girdlestone – may well one day be proved right. Howard Jones on steam engines. It’s like lions. You can see lions in a zoo or go to Africa. Coming to Wolsztyn is like going to Africa. 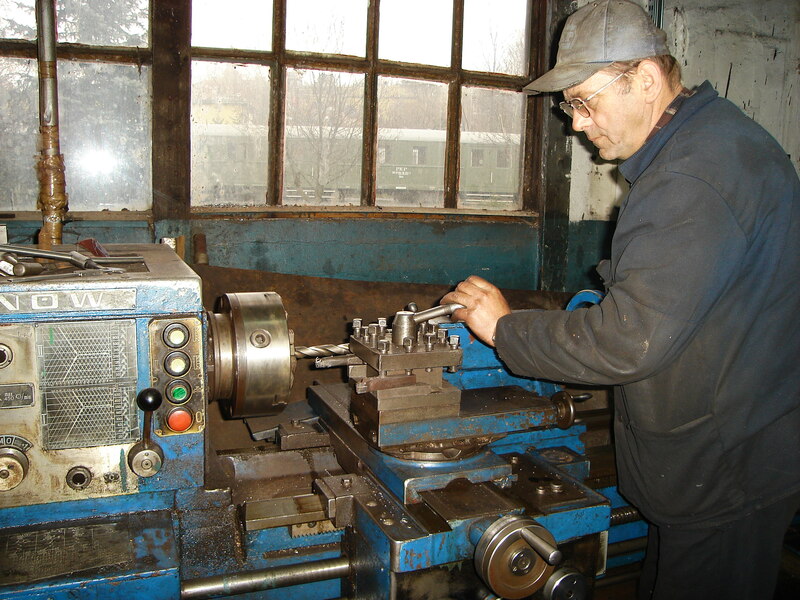 SKPL, Stowarzyszenie Kolejowych Przewozow Lokalnych – best known for operating Poland’s last freight carrying, common carrier, narrow gauge railways – are looking for a steam engine. SKPL also operate freight on a number of standard gauge railways and have started negotiations to operate the Srem – Czempin line in Wielkopolska province. SKPL are planning to expand their special services aimed at international railway enthusiasts. A guest 750 mm gauge Px48 is already a regular visitor on the Smigiel Railway, courtesy of Howard Jones and the the Wolsztyn Experience. If you, or someone you, has a small goods locomotive in ticket, which is not getting the use that it deserves, why not consider bringing it to Poland? A Hunslet ‘Austerity‘ 0-6-0ST, or GWR 57xx pannier tank 0-6-0PT, or LMS Jinty 0-6-0T would be ideal. This is a genuine partnership opportunity. SKPL is looking to share in the costs and profits of the venture.